When North American ornithologists hear a bird singing, they're likely to assume it's a male. But in many species, the females sing too–and a new commentary in The Auk: Ornithological Advances argues that a better understanding of these unappreciated female songs could lead to advances in many aspects of bird biology. Authors Karan Odom of Cornell University and Lauryn Benedict of the University of Northern Colorado both discovered the world of female birdsong through their own research. "I started studying California towhees 17 years ago, and I was fascinated by the duet vocalization given by females and males," says Benedict. "That led me to start looking for female song in other North American bird species, and I was surprised to learn that it was much more common than I expected. The reports of female song are buried in odd corners of the literature, but when you put them all together, you start to see some interesting patterns." Though singing females were likely the norm among the ancestors of today's songbirds, female song today is understudied and is underrepresented in collections of bird sound recordings. This, say Odom and Benedict, may be result of bias toward the world's temperate regions–though more widespread in temperate species than many ornithologists appreciate, female song is most common among tropical birds. They argue that better documentation of which species female song is present in and more detailed descriptions of female song structure and output could improve our understanding of birds' comparative physiology, neurobiology, behavioral ecology, evolution, and even conservation. Birds of conservation concern are often located and identified by song during surveys, and assumptions that all singing birds are male could mislead wildlife managers about the state of populations. 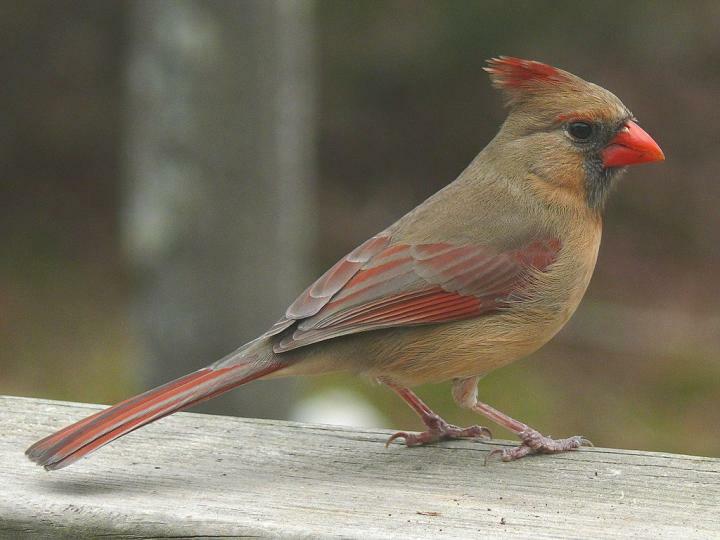 Odom and Benedict urge their fellow ornithologists to spread the word that female birds sing, to share resources, and to disseminate their findings. You don't need to be a professional ornithologist in order to help expand our knowledge of female song, either–Odom has created a website where any birdwatcher can upload their observations. "If you hear a bird singing, do not assume it's a male," she says. "If you observe a female bird singing, document it by uploading field notes, audio, or video to the collections on our website, femalebirdsong.org. Make sure to indicate how you recognized the bird was female." "Odom and Benedict have written an excellent appeal to document and record more female bird song," adds Leiden University's Katharina Riebel, a former collaborator of Odom's. "They rightly point out that the extent of female bird song has been starkly underestimated, as almost by default we assume that a singing bird must be the male of the species. As a consequence, we might have missed out many aspects and the dynamics of male and female vocal signaling in songbirds–clearly, there is still lots to discover! I am confident that ornithologists in the field can make substantial contributions toward these questions by sharing their observations and recordings, as I very much hope this article will encourage them to do." "A call to document female bird songs: Applications for diverse fields" will be available March 14, 2018, at http://www.bioone.org/doi/full/10.1642/AUK-17-183.1. About the journal: The Auk: Ornithological Advances is a peer-reviewed, international journal of ornithology that began in 1884 as the official publication of the American Ornithologists' Union, which merged with the Cooper Ornithological Society in 2016 to become the American Ornithological Society. In 2009, The Auk was honored as one of the 100 most influential journals of biology and medicine over the past 100 years.